This area of Electron Dreams is devoted to art for illustrative purposes. It also contains art created for the sheer joy of creation. 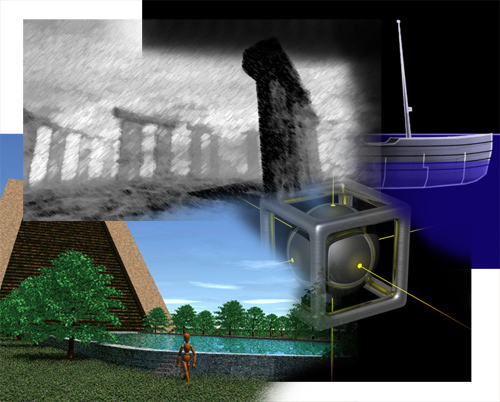 You will find illustrations originally meant for an educational website, visualizations of ancient structures and some images that are studies in shape and light.